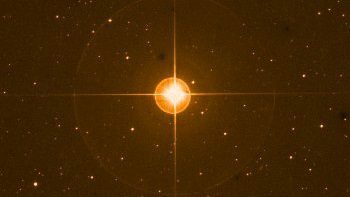 Fixed star Zubeneschamali, Beta Librae, is the only star which looks green to the naked eye. 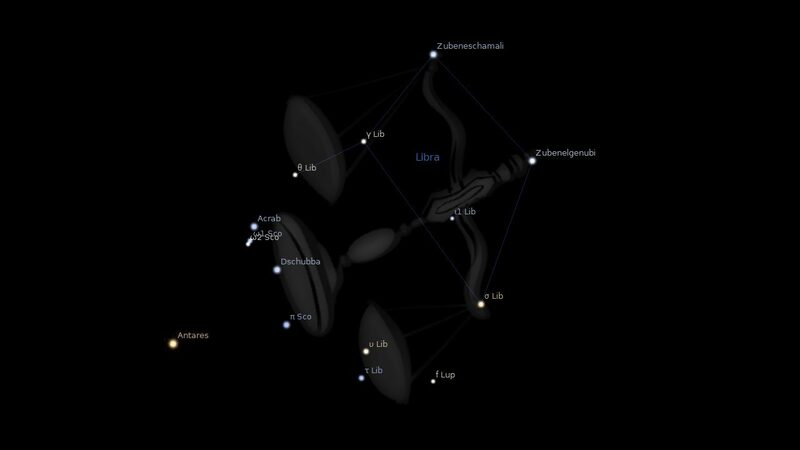 At 19 degrees Scorpio in the zodiac, it marks the Northern Scale of the Balance, Libra Constellation. It got its name back when the Scales were part of an ancient and larger Scorpion. Zubeneschamali comes from the Arabic for The Northern Claw. Psychic entertainer Uri Geller has a conjunction of Moon, Venus and Jupiter on Zubeneschamali, quincunx Uranus. Charles Manson has the conjunction of Sun and Venus on this same star, but psychic turns to psychotic with Venus and Sun square Saturn. Leonardo DiCaprio also has the Sun and Venus conjunction on Zubeneschamali, but Venus and Sun trine Saturn seems to make him more lovable. Valerie Solanas, the radical feminist who tried to kill Andy Warhol, had Moon conjunct Part of Fortune on this star, sent psychotic with neurotic quincunx aspects to the Sun, Mercury and Ascendant. Lynndie England gained an immortal name for all the wrong reasons at Abu Ghraib prison. Her good fortune from a Venus Jupiter conjunction on Zubeneschamali went pear-shaped for her reputation with a square to Midheaven, made worse with the Sun just behind on Zubenelgenubi, the malevolent neighbor of our star. Tennis champion Chris Evert was destined for a long reign at the top with Venus and Saturn rising on this star, all trine the Vertex Point. Not always so fortunate in relationships though, with Moon on the darker alpha star Zubenelgenubi. Mohandas Gandhi certainly gained immortal status with Venus and Mars on Zubeneschamali, but being opposite Pluto it was an intense struggle against powerful forces. Psychiatrist Alois Alzheimer combined the spiritual and mental forces of the North Scale with a conjunction to Jupiter, North Node and the Vertex Point. A trine to medicine man Chiron helped him gain credit for identifying Alzheimer’s disease. The combination of spiritual and intellectual powers brings a name to be remembered for astrologers: Robert Pelletier with Ascendant; Jonathan Cainer with popular Moon; Jeff Green with Venus; Raymond Merriman and Charles Jayne with Jupiter; Joseph Crane (Venus and Saturn); Sydney Omarr and Chris Brennan with traditional Saturn; Walter Koch and Dane Rudhyar with revolutionary Uranus. Ascendant conjunct Zubeneschamali: Honor, preferment, good fortune. Clint Eastwood 11′, Jacqueline Kennedy Onassis 25′, Sarah Ferguson 36′, Robert Pelletier 36′, Marcel Duchamp 41′, Chris Evert 45′, Henri Toulouse-Lautrec 55′, Wolfgang Von Goethe 1°46. Midheaven conjunct Zubeneschamali: Honor, preferment, good fortune. Sean Connery 19′, Rolf de Heer 29′, Keith Holyoake 54′, Jack Paar 1°10′, Napoleon III of France 1°18′, Hendrik Verwoerd 1°28′. Sun conjunct Zubeneschamali: Great good fortune, high position, transitory difficulties eventually proving beneficial. Ennio Morricone 07′, George Blake 08′, King Edward VII 15′, Leonardo DiCaprio 0°21′, Marie Dressler 26′, Jonathan Winters 52′, Neil Young 1°08′, Grace Kelly 1°11′, Charles Manson 1°22′. Moon conjunct Zubeneschamali: Active mind, organizing ability, benefits through new and influential friends, valuable gifts, uses friends’ names to obtain money but matter is amicably settled, high position, love of respectable women. Barbara Castle 03′, Gough Whitlam 15′, Alexander Scriabin 26′, Jonathan Cainer 35′, Howard Baker 42′, Hans Driesch 44′, Uri Geller 0°49′, Linda McCartney 1°00′, Eve Kosofsky Sedgwick 1°01′, Katy Perry 1°11′, Mary MacArthur 1°24′, Beyoncé 1°47′, Valerie Solanas 1°47′. Mercury conjunct Zubeneschamali: Active, alert, favors from influential people, good position, much expenditure, benefits through writings. Winston Churchill 0°01′, Christos Tsiolkas 05′, Escoffier Auguste 05′, Luc Jouret 11′, Nola Williams 12′, Morris Lurie 26′, Tony Abbott 0°47′, Jean-Claude Van Damme 34′, Kim Kardashian 0°42′, Andre Gide 45′, Ezra Pound 1°03′, Virginia Mae Brown 1°17′, Arthur Rimbaud 1°24′, John Galliano 1°41′, Mark Twain 1°42′, Montgomery Clift 1°49. Venus conjunct Zubeneschamali: Social success, help from women, favorable for love affairs and marriage. Dmitri Shostakovich 08′, Charles Manson 09′, Ben Thompson 13′, Tarja Halonen 15′, Chris Evert 16′, Rosaleen Norton 20′, Steven Spielberg 37′, Marie Stopes 46′, Jeff Green 48′, Andrea Dworkin 49′, Leonardo DiCaprio 0°52′, Angela Rippon 52′, Samuel Adams 56′, Uri Geller 1°02′, Mohandas Gandhi 1°05′, Joseph Crane 1°17′, Jose Maria Carreras 1°17′, Bill Gates 1°28′, Lynndie England 1°38′, Sir Hugh Greene 1°41′, Carl Wilson 1°50′. Mars conjunct Zubeneschamali: High ambitions, success through energy, influential position, forceful writer and speaker. Liu Xiaobo 20′, Harvey Weinstein 0°24′, Athol Rusden 28′, Maureen O’Hara 47′, Mohandas Gandhi 52′, Barbara Hutton 55′, Cindy Sherman 58′, Jimi Hendrix 1°03′, William McKinley 1°12′, Richard Petty 1°12′, Hans Arp 1°17′, Emmeline Pankhurst 1°25′, Dylan Thomas 1°31′. Jupiter conjunct Zubeneschamali: Philosophical mind, ecclesiastical or legal preferment, able writer or speaker, influential friends. If under 30′ orb: This brings self-esteem to these natives through their good works. These are person who would give up their own life for another. They build very powerful relationships. This is truly the eagle and not the scorpion. They work on a high level and pick their associates very carefully. Although this can be overdone, they never harm another. Ian Anderson 00′, Carl Wilson 09′, Bryan Brown 10′, Edith Allonby 15′, Emile Zola 20′, Elvis Presley 23′, Uri Geller 0°28′, Raymond Merriman 30′, Diane Arbus 31′, Larry Csonka 33′, Barry Crump 38′, Arnold Schwarzenegger 39′, Steven Spielberg 41′, Lynndie England 44′, Todd Akin 47′, Charlton Heston 47′, Janet Street-Porter 50′, David Essex 52′, O. J. Simpson 0°53′, Gilles Duceppe 53′, Camilla Parker-Bowles 57′, Napoleon Bonaparte 1°08′, Robert Englund 1°17′, Charles Jayne 1°29′, Alois Alzheimer 1°37′. Saturn conjunct Zubeneschamali: Cautious, reserved, studious, economical, analytical, good chemist or detective, good judge of human nature, early losses never fully recovered, favorable for gain and domestic matters, sickness to children in infancy. Robert Kennedy 01′, John Galsworthy 22′, Rock Hudson 26′, Jamison Twins 0°34′, Denzel Washington 45′, Dodi Fayed 50′, Steve Earle 55′, Annie Lennox 57′, Mark David Chapman 1°01′, Kevin Costner 1°02′, Jonathan Winters 1°03′, Sydney Omarr 1°12′, Chris Brennan 1°13′, Joseph Crane 1°13′, John Derek 1°23′, Chris Evert 1°24′, Debra Winger 1°27′, George Melly 1°32′, Leopold Auenbrugger 1°42′, F. Scott Fitzgerald 1°44′. Neptune conjunct Zubeneschamali: Occult writer or speaker, medical or chemical discoveries, practical, kind, sympathetic, alive to self interests, gain through marriage and business, disharmony with parents, grandparents or relatives, legacy obtained through litigation, suffers from accidents, death resulting from previous injury. Robson Green 04′, Christos Tsiolkas 11′, Augusten Burroughs 06′, Roberta Close 19′, Matt Biondi 24′, Rodney King 40′, Piers Morgan 44′, Brooke Shields 50′, Matt Dillon 1°02′, Jim McGovern 1°04′, Bashar al-Assad 1°09′, Price Edward 1°10′, Charlie Sheen 1°18′, Nicholas Cage 1°31′, Nigel Farage 1°33′. 1. Fixed Stars and Constellations in Astrology, Vivian E. Robson, 1923, p.203-204. 2. The Living Stars, Dr. Eric Morse, 1988, p.78. 3. Fixed Stars and Their Interpretation, Elsbeth Ebertin, 1928, p.66. 4. The Fixed Star Health and Behavior Imbalance, Ted George and Barbara Parker, 1985, p.94. So interesting, Jamie, that you analyzed also this patterns of the pre-existent condition of the luminary (ies) or the planet (s). I find it very important to take this into consideration! It makes us much more punctual and deep seeing. My NN is conjunct this star, and I´m feeling Saturn rather heavy, though feel happy (Asc. Cancer with a Júpiter transit). I feel rather invited to NOT expect miracles (maybe, accepting things, processes and people -including myself- just the way IS). Gives me some hope for what I want to do with my life. It’s a long road but my AC (technically in Noctua) near this star, trine Mercury on Homan will be a big help I feel. This is a great analysis. Thank you! I have the Neptune conjunction – most of the influences listed are spot on. I really appreciate that you’ve included a table listing all the conjunctions to Zubeneschamali this year, Jamie – will be great for observational purposes to be able to note the effects firsthand! I know the list of interpretations above for planets conjunct this star are based on Robson’s work and so there are no interpretations given for Pluto or some of the asteroids, but I would love to find astrologers formulating some new hypotheses for fixed star conjunctions to any of these “newer” bodies. Pluto has been observed since the 1930’s, and I think we’ve had enough time to gather data and start gradually theorizing its effects when found in conjunction to any of the fixed stars. I am intrigued, in particular, by possible interpretations for Zubeneschamali conjunct Lilith – Lilith is such a powerhouse already that having her in Scorpio conjunct this star must surely boost her moxie! There is nowhere a single aspect related to the apocalyptic flood in Serbia and the Republic Srpska!!!! I have always wonder how my Uranus works (it’s on the 4th but it’s also the ruler of my 7th and 8th houses) and I think this post helps. My natal Uranus is at 19.51 Scorpio 4th House so I would understand that it is still influenced by this star (even if it’s a little bit more than a 2º orb) would you agree with me on this? This star interacts also with my natal Chiron 10th House Taurus at 18.16 (retrograde). As far I understand it would be in opposition but would that mean that it is positive or negative? Indeed most of the description applies to me: I do have a great self-control (although I always thought it was due to my natal Saturn opposition natal moon). It is also true that people who know me tend to say that I have a very strong ability to identify information hidden from the normal senses and I do have very vivid dreams. Information comes to me like a bolt out of the blue and I usually pick up information that can help other people or even inform me about danger/future events. I am also careful to do not waste money or resources more than necessary when it comes to the 4th house matters and I have experienced in my life many difficulties on that area. In fact, a couple of months ago I had some loss through law and enemies… it was related to a housing matter but until now I thought it was related to Saturn transiting my 4th house and Uranus transiting my 9th house and opposite my natal Pluto on the 3rd (conjunct my IC)… could that transit activate this star and my Uranus in such a way? My 4th house cusp is in Libra and I have natal Venus on the 12th (yes there was hidden information and money involved). I am fascinating by the way stars give nuances to planets. Thank you for writing post that make me think! Mel, I think the influence of stars acts like a bell-curve if you plotted it against orb. So it will affect your Uranus but weakly. You will know by reading the post how much. If you find a planet in your chart right on a fixed star then you’ll see the difference, especially if it is a more personal point. Awesome! Thank you for explaining this to me. My Dad has this Star conjunct his Sun squaring Pluto (my sister has Sun square Pluto too and they are very much alike, although she would never agree!) It says the that the person will be psychotic if their sun has a hard aspect to another planet. He has got something wrong with him. I’ve called him psychotic to my Mum a few times. He’s a mental bully. He’s also chauvinistic. We’ve had a few wars between us, as I’m a bit of a warrior and won’t back down! Only makes us stronger to come against these kind of people! Brings out the fighter in us! My cousins Dad is the same (Mum’s brother; he’s unrelated to my Dad, but oddly best friends with him). I feel that my female cousin should stand up to her Dad. I’ve stood up to him and told him off before. He backs down! What I’m getting to is – stand up to the bullies. Maybe it’s partly my Mars Square Uranus that makes me that way! I was given that aspect for a reason. I’m definitely a rebel, which comes with that aspect! Freedom fighter! Freedom from authority and bullies! It’s interesting how often that if you stand up to a bully, they’ll back down. But if they have some kind of mental illness, it’s a whole different ball game! Also Midheaven conjunct Altair for the fighting spirit. Yes, I’m definitely a fighter! I’m also very protective too, over people who are weaker! I would always stick up for any kid who got bullied, when I was a child. The ironic thing is – I don’t like fighting or arguing, but I’m a a strong woman and won’t tolerate injustice or people wanting to feel powerful by overpowering others! I think if Sun square Pluto was one of the stronger aspects in the chart then the bullying would happen regardless of the fixed stars. What hpens whwn natal pluto conjuncts this fixed star?